Thirty-one years ago today, Hieromonk Seraphim Rose (Eugene Rose before monasticism) reposed in the Lord at the age of 48. 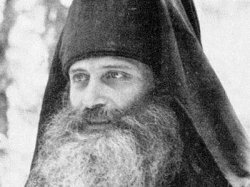 Since then, his works have reached around the globe, and encouraged Orthodox Chri-stians to look always toward the Resurrected Lord and to do the work of God without delay, because it is "later than you think”. Why is the truth, it would seem, revealed to some and not to others? Is there a special organ for receiving revelation from God? Yes, though usually we close it and do not let it open up: God’s revelation is given to something called a loving heart. This indicates that no matter how often we might hear the truth, if we have no love, we will not receive it; and to the contrary, though we may not even be searching for the truth, but have love, the truth may find us. But if others have not found the truth it would be madness for us to condemn them, saying "we have found the truth”, because our own po-ssession of truth depends upon our loving heart. After entering the Orthodox Church, Fr. Seraphim found it necessary to leave the ways of the world behind. He renounced the world and became a monk. He did not tell others to become monks—this is a ve-ry personal life choice. But as a man who cared about others, he could not but warn them of dangers to the soul inherent in the modern world. An example of this can be found in one of his recorded lec-tures, "Living the Orthodox Worldview”.